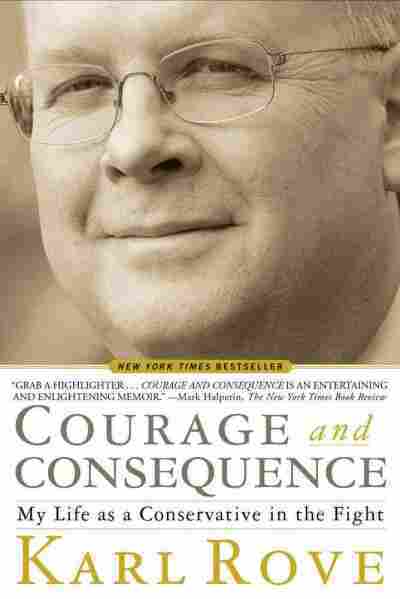 Karl Rove 'In The Fight' Again With New Memoir The book by the conservative strategist is called Courage and Consequence: My Life as a Conservative in the Fight. Rove tells Fresh Air the decision to go to war in Iraq in 2003 was not based on wrong information from the Bush administration, but was based on wrong information from the intelligence community. 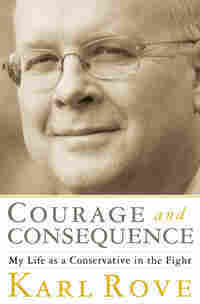 Karl Rove resigned from his position effective Aug. 31, 2007. He is no longer a paid consultant but continues to help Republican candidates by appearing at their fundraisers. Onstage in 2004, the night he was re-elected, President George W. Bush referred to Republican political strategist Karl Rove as "the architect" of his campaign. Rove, who served as Bush's deputy chief of staff and senior adviser in the White House, ran Bush's campaigns beginning with the successful race against Democrat Ann Richards in the 1994 Texas gubernatorial election. Contrary to popular belief, Rove tells Terry Gross, he did not talk Bush into initially running for elected office. "[George W. Bush] had an interest in politics early ... he then went off into business in both the oil business and then the baseball business, but he had political ambitions," Rove says. "He thought seriously about whether or not to run for governor [of Texas] in 1990 but decided it would be inappropriate with his father as president and that it wasn't the right time for him. But he had a political interest in 1993, was seriously interested in running for governor — that predated any suggestion I might have had to him. I didn't carry to him the suggestion that he should run for governor. I carried to him the suggestion that I hoped he would run for governor and that I thought he would both win the nomination and the general election." Rove's new memoir, Courage and Consequence: My Life as a Conservative in the Fight, details his lengthy time on the campaign trail and also responds to his many critics. In the book, Rove distances himself from the rumors that he spread false information during the 2000 election about John McCain fathering an illegitimate black child — a rumor credited with helping George W. Bush defeat McCain in the South Carolina primary. Rove also blames himself for improperly defending President Bush against accusations that Bush misled the American public about the reasons for the Iraq invasion in 2003. "I am under no illusions: The failure to find stockpiles of WMD did great damage to the administration's credibility," Rove writes in Courage and Consequence. "Our weak response in defense of the president and in setting the record straight is, I believe, one of the biggest mistakes of the Bush years." Rove says the decision to go to war in 2003 was not based on wrong information from the Bush administration, but was based on wrong information from the intelligence community. "Let's stipulate: They got it wrong. And that's a problem. Because policymakers make decisions based on the best available intelligence," Rove tells Fresh Air.."In this instance, they got it wrong. Part of the reason is ... because Saddam [Hussein] wanted us to get it wrong and part of the reason was, [Saddam] was doing things that were necessary to reconstitute these programs. ... This is troubling. We're great at doing things electronically and sweeping electrons out of the air ... and mapping patterns but we are really not good — particularly in facing the enemy that we face — in getting actionable intelligence that's based on human sources. It's really difficult to do and as a result, we get it wrong." Rove emphasizes that the Bush administration "did the right thing given what we knew at the time." "Our country is safer for having removed [Saddam]," he says. "The world is safer. ... We had to act in the aftermath of 9/11 on the basis of what we thought we knew. And the world is a better place for him being gone." 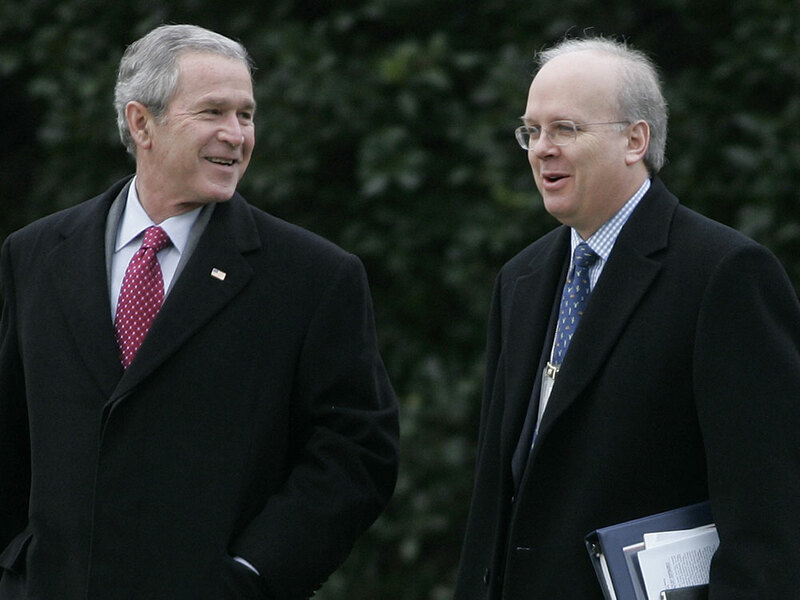 A year after the Iraq invasion, Rove helped Bush win a second presidential term. Rove continued to act as a senior adviser to President Bush until he left the White House in 2007. He currently works as a political analyst for Fox News and The Wall Street Journal and says he doesn't plan to go back to managing campaigns. "You can't go back in life." he says. "I did that, and I enjoyed it. But you gotta go on to the next chapter in life." "We now know two things: We know that [the belief that Saddam had a weapons of mass destruction program] happened in part because he wanted us to believe that he had it. He thought that the presence of WMD — the view that he had it — made him strong in the neighborhood, kept him in power in his own country and was a deterrent to the West. We also know ... that Saddam Hussein retained an active interest in these programs, believed that the sanctions put on him by the United Nations were eroding and would be gone soon and was literally diverting tens of millions of dollars from the oil-for-food program to keep together the dual-use facilities ... to reconstitute these programs." "Terry, that happened in the 1990s when we were not in an open war. We know that tens of thousands of people went through al-Qaida and other terrorist training camps in Afghanistan at a point when we were ostensibly at peace. What matters is winning or losing. People will be with us if they believe that we're winning. They will come in against us if they believe we're losing. "And what happened in Iraq is, you're right. ... The country began to pull itself together and then in 2006, with the onset of democracy, [Abu Musab al-] Zarqawi warns Osama [bin Laden] that democracy will mean the end of their movement in Iraq and they declare it the central front in the war on terror. ... And what happens is when the surge begins to work and it becomes very dangerous and the risk-reward ratio turns very badly against them, they then start dispersing their people to Afghanistan, Pakistan, Somalia and Yemen. So yeah, this is a war we're in. And the enemy gets a voice and a vote. And they get to decide where they want to confront us. And they did decide in 2005, 2006, because they feared [it would become] the center of democracy, [they decided] to make Iraq the central war, to make Iraq the central front in the war on terror. You bet." "The view of evangelicals as a highly political, highly motivated, philosophically conservative [group] with a well-organized framework to approach politics is wrong. In fact, in 2004 we were going after a lot of evangelicals who were skeptical of politics. Some of them — particularly in the Midwest — [were] concerned about the war. There was a strong ... tradition among some evangelical communities to be dubious about war. So what we were tempted to do was to take people ... [who] we thought would come down on the Bush side, and give them more information and surround them with more people to encourage them to participate in politics." "I think to impute [that] the people who have views in support of traditional marriage are somehow fearful of homosexuality is incorrect. I've found many, many people who have strong concerns about undermining traditional marriage live truly Christian lives in which they, they are not the first to cast a stone, in which they love a neighbor like they'd like to be loved themselves. So I agree with you that the motivation of some people in the 2004 election was the difference between the candidates over the issue of gay marriage, but again, can we step back for a minute and see how this intrudes into politics in 2004? "We wanted it to be decided as it ought to be decided, by the acts of state legislatures and the people's elected representatives meeting to determine this state by state. But it was the courts that forced this onto the national stage. Let's just be clear about that." "It obviously wasn't a popular position to have on campus. We were a beleaguered minority. On the other hand, in the 1972 election for example — which pitted Nixon for re-election against George McGovern — the youth vote split basically 50-50. I mean, McGovern had a slight lead overall and a good lead on college campuses, but the non-college youth vote sorta washed most of that out. So it was possible as a young person even in the height of the Vietnam War and the unpopularity of the war to be a conservative on campus. "This was a time where the people that I was involved with got a sense of — and this was some sort of minority position on campus — that we could actually affect things, that we could make a difference. And as a result, the group of kids that I was involved with in College Republicans, many have stayed friends in the years since, and we include in our number two United States senators, several members of Congress, dozens of state and local officials, a couple of Supreme Court justices and lots of people who have had big roles in politics in the decades since — and many of whom have led very successful careers in law and professions and in business." "Nothing is permanent in politics. That's not the nature of the American system. You know there's competition between two parties, and nobody dominates it forever. I mean that's not been the case at all. I mean, we've had periods of durable dominance by one party or another. And look, do I want a durable Republican majority? Do I want Republicans to win the next election? Yeah. But I've never said a 'permanent Republican majority' because frankly you can't have that in the American political system, and we don't want it. You have a permanent majority in place — it's like the former Soviet Union or like Baathists in Iraq. You don't have it in a democracy. In democracy, there's give and take between the two parties." Download or listen to the entire Fresh Air interview by using the links at the top of this page. One of the stupidest things I've ever done, I did as a College Republican. My association with the CR's started in the fall of 1969, when as a freshman at the University of Utah I joined the organization. By then I was already enthralled with politics and unbeknownst to me was quietly making a name for myself. The previous year I had taken my first real role in politics — as a volunteer in the reelection campaign of Senator Wallace F. Bennett. And I had loved it. Tom Korologos, Bennett's chief of staff, took me on as part of a broader strategy to draw young people to the GOP Senator's campaign at a time when college students across the country were flocking to anti-Vietnam War Democrats. I threw myself into the job, I had a blast, and got noticed. The spring after joining the CR's, I got a call from Morton Blackwell, the executive director of the College Republican national Committee (CRNC). He was looking for competent students to help organize campuses in critical U.S. senate races in 1970, and he had heard about my work on the Bennett campaign. I flew to Chicago, endured a brutal interview that felt more like a prison interrogation, and landed the job. I was to organize college students for the campaign of Senator Ralph Smith, appointed to the seat left vacant by the death of GOP senate leader Everett Dirksen. I trundled off to Illinois after the spring semester. What brought out my stupidity was a remarkably attractive young co-ed who volunteered as a receptionist at the Smith campaign's headquarters in downtown Chicago. Her parents were nominally active Democrats and one day she brought to work a fancy invitation they had received to the opening of the campaign headquarters of Alan J. Dixon, the Democrat running for state treasurer. To impress her, I led a few young Turks in preparing a faux invitation to the Dixon event with a summons that read "Free Beer, Free Food, Girls, and A Good Time for nothing" in bold letters. We listed the date and time of the real opening of the Dixon headquarters and then handed out the fake invitation to vagrants, homeless, and drifters in bad parts of downtown Chicago and at a free rock concert in Grant Park. The hungry and dispossessed were thrilled to receive such an invitation. The Dixon headquarters was swamped at its grand opening. Elite Democrats were horrified to see a virtual army of what Dixon later described as "derelicts and hippies, some with bed rolls." It was near bedlam. Thirsty vagrants came close to rioting, while the more well-to-do attendees were unsure of what to make of it all. The press lapped it up. But Dixon flipped it to his advantage by declaring that the crowd showed "the Democratic Party is the people's party ... the party of everyone." Back at the Smith headquarters all heck broke loose when the flyer became public. When one of the Smith campaign muckety-mucks said whoever did this would never work in politics again, my superiors told me to make myself scarce in far-flung corners of the state. I regret the prank. It was not only foolish and childish, it was unhelpful. Dixon won his race and the prank didn't even raise me in the eyes of the attractive receptionist at Smith headquarters. Over two decades later, when President George H. W. Bush nominated me to serve on the Board for International Broadcasting, Alan J. Dixon was then the junior U.S. Senator from Illinois. The post was subject to senate confirmation. If Dixon wanted to make a stink, he could have killed my nomination. It could have been payback time, but Dixon displayed more grace than I had shown and kindly excused the youthful prank. I learned four vital lessons from Smith's unsuccessful campaign — beyond the dangers of acting stupidly. The first was that not everybody votes. On average over the past sixty years, 58 percent of eligible voters have turned out for presidential elections and just 42 percent in off-year contests. This means that there is usually a large pool of possible voters on the table who can tip an election, if only they can be enticed to go to the polls. Smart campaigns focus on building the organization necessary to expand the pool of their voters. In my experience, organization can make a 2- to 4-point difference. The second thing I learned was that a good "brand" matters a lot in politics. Smith was an able state legislator and a competent, long-serving speaker of the Illinois house, but few people knew him outside his district. The campaign tried to expand the power of his name by resurrecting his middle name — Tyler — after realizing he was related to the tenth president of the United states, John Tyler. But he was running against Adlai Stevenson III, great-grandson of a vice president, grandson of an Illinois secretary of state, son of an Illinois governor and two-time presidential candidate, and a state treasurer himself. Voters thought they knew a lot about Adlai Stevenson III from the reputation of his father and family and voted for him based on that assumption. It was a lesson I would recall as I worked with candidates whose families were well known. George W. Bush would be the most prominent of these, but neither the first nor the only one. Third, I came to understand there are years in which one party has a structural advantage. In 1966, conflict over the Vietnam War divided Democrats and caused many swing voters to cast ballots for Republicans. In 1970, with a Republican in the White house, the war was cutting against the GOP. Finally, I realized how bitter defeat tasted regardless of why my candidate lost. I didn't feel particularly strongly about Ralph Smith. I grew to like him (sort of), but I hated to lose. Tennis great Jimmy Connors, one of the most competitive athletes of his generation, once said that he hated losing more than he enjoyed winning. I know what Connors was getting at. I grappled with this loss while back at school after missing nearly two months of classes to finish the campaign. I didn't know it yet, but a drama was playing out inside the CRNC that would have a big impact on my life. The chairman of the CR's had stepped down after the 1970 elections and set off a chain reaction of events. The CR's' vice chairman, Joe Abate, a law school graduate who was studying for the New Jersey bar, automatically became the new chairman and was intent on winning the post in his own right for a full term. The College Republicans were just getting over being divided between two camps: the Eastern, moderate Rockefellerites and the dominant Goldwater conservatives of the South and West. To consolidate his position, Abate cut a deal with his principal opponent, George Gorton of California. Gorton agreed to deliver votes for Abate in June if Abate would immediately appoint a close friend of Gorton's to be the CR's' executive director. It was a deft political maneuver and well above what I as a lowly college sophomore could see. It turned out that the new executive director, while intellectually bright, was a wholly inadequate manager. But a sloppily run national office could hurt Abate's election chances. In the era before the internet, fax machines, FedEx, or even cheap long distance, someone needed to be in the CR office to make certain that mailings went out, correspondence was answered, and other things got done. I was asked if I could fly standby to Washington, D.C., on a regular basis, work long hours for three or four days, and sleep on a mat on the floor of the apartment of the current executive director. And, oh, by the way, the executive director would probably take umbrage at my presence and I wouldn't get paid. How could I pass up an offer like that? I didn't, and shortly after winning his election in June 1971, Joe offered me the job of executive director. The College Republicans were then housed at the Republican National Committee headquarters at 310 First Street, Southeast of the Capitol. Befitting our status, the CR's were in the subbasement, under the parking garage and next to the print shop. You couldn't get lower than that. The staff consisted of a secretary and me and as many interns and volunteers as we could stuff into our workspace. It wasn't glamorous, but there was lots of energy and a sense of mission. There was also a slightly subversive atmosphere. Our peers were in rebellion against bourgeois culture and, often, America itself. We were in rebellion against them and their campus dominance. And we got away with things that other people in the building couldn't, such as printing up a bright orange poster with a drawing of two dancing elephants with "Get it on! Join the College Republicans!" printed on it. We cribbed the drawing from a German artist's pornographic sketches done during the Weimar Republic. Most of his work consisted of animals in obscene situations. The dancing elephants were one of his tamest works. The posters were a hit, both on campus and in the offices and headquarters of amused party leaders and candidates. We went through dozens of printings. By and large, however, we were viewed with wariness by our superiors on the building's fourth floor — including the chairman, Senator Bob Dole. Our bitter infighting had soured many in the RNC on the CR's. Shortly after my arrival, I was summoned for a direct and brusque lecture by Senator Dole. His message was this: We're glad to have you — but don't make trouble. He did, however, do me one huge favor. After our conversation, Dole directed me to the office of Anne Armstrong, the RNC's co-chairman. We would report to her and were not to bother him. I will always be grateful for this crisp order: it led to a lifelong friendship. Anne was a Phi Beta Kappa graduate of Vassar College who married an outgoing rancher named Tobin Armstrong and moved in 1950 from her home in New Orleans to a ranch in the middle of Kenedy County, Texas. The county is six times the size of the five boroughs of New York City put together, and when Anne arrived it had exactly 632 residents. Today it has a more manageable 402. Anne and Tobin became active in the Texas GOP when its membership could, as they say, meet in a phone booth. Republicans had last elected a statewide officeholder in 1869. There was not a single Republican in the Texas legislature and only a handful of Republican officeholders in small rural courthouses in the historically Republican (and German) Hill Country northwest of San Antonio and in an occasional cow county at the tip of the Texas Panhandle, where enough Kansans had drifted south to make a difference. Texas was a Democratic state because it had been a Confederate state. Its Democratic roots were also deepened by the attention President Franklin Delano Roosevelt had lavished on Texas and by the ascent of LBJ and other Texans to national power. Not that this deterred Anne and Tobin. They threw themselves into politics and rose up the ranks. Tobin became a widely respected party leader with a statewide network among ranchers. At a time when women in politics were expected to make coffee, Anne became a powerful figure. First as Vice Chairman of the Texas Republican Party and then as National Committeewoman, she played vital leadership roles in the election in 1961 of John Tower as the first Republican Senator from Texas since reconstruction, and in the presidential campaigns of Nixon in '60, Gold-water in '64, and Nixon again in '68. As Nixon geared up for reelection in '72, he installed Anne as RNC co-chairman. That day in 1971 she laid down the rules: no funny business, stay inside your budget, expect to get regular assignments and complete them, tell us what you plan to do before you do it, and report in regularly. Then she flashed an incredible smile. This is going to be fun, I thought. From Courage and Consequence by Karl Rove. Copyright 2010 by Karl Rove. Reprinted by permission of Threshold, a Division of Simon & Schuster, Inc. All Rights Reserved.